Gov. Greg Abbott has requested a federal disaster declaration for some Texas counties after deadly late-December blizzards and tornadoes. 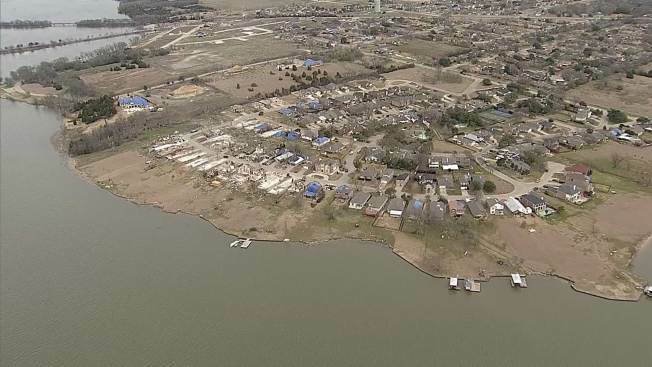 Abbott on Tuesday announced the request for individual assistance for people in Collin, Dallas, Ellis, Franklin, Rockwall and Van Zandt counties. The winter weather pushed into West Texas on Christmas Day. By Dec. 26 twisters and other violent weather reached North Texas, claiming at least 13 lives. Abbott's request for public assistance includes some of the original counties, plus others: Castro, Childress, Cochran, Dallas, Deaf Smith, Dickens, Ellis, Hall, Hardeman, Harrison, Henderson, Hopkins, Kaufman, Kent, King, Lamb, Lubbock, Navarro, Parmer, Rains, Red River, Rockwall, Titus and Van Zandt counties. Abbott also added Hockley, Liberty, Terry and Wichita counties to the state disaster declaration he issued Dec. 27.